I'm currently sitting at County Line BBQ on a Monday evening waiting on my brisket tacos to arrive. Finished setting up camp at Emma Long Metropolitan Park a half hour ago after flying the drone over Pennybacker Bridge during a beautiful sunset. Drove my car all the way back to a clearing in the trees and pitched my tent right alongside the Colorado River. It's so easy to avoid paying the entrance fee. This lifestyle isn't for the weary kind but the challenges you encounter along the way can be very rewarding and life-affirming. Coffee shops are my second home. A few of my favorites are Mozart's Coffee, Radio Coffee, Monkey Nest, and of course Starbucks since they're everywhere. I've been pleasantly surprised how many familiar faces I encounter throughout the day. Realize that friends are around to help you during hard times, but don't continually rely on their support. Keep setting up meetings, networking, and working on your Side Hustle! This blog post is about how to live in Austin rent free. I've been living off the grid for over a month, couchsurfing with friends, and staying in hostels. 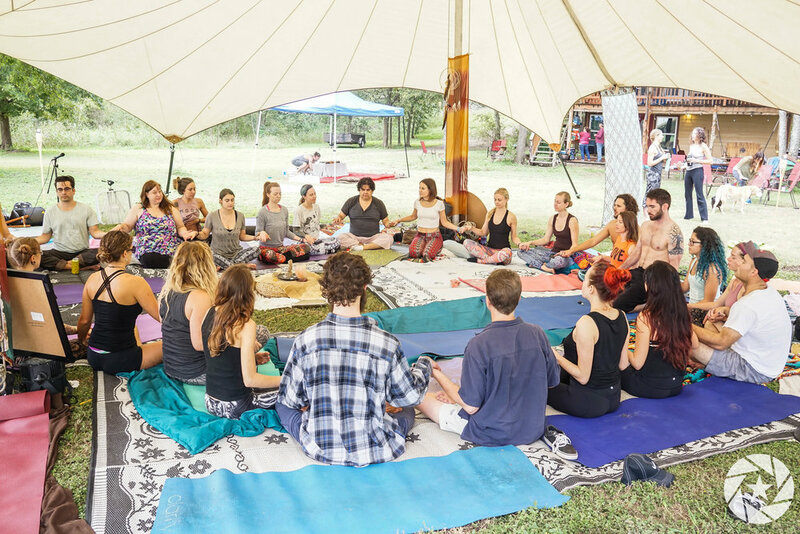 This past weekend, I attended a Full Moon Campout retreat sponsored by LoveATX with many of my closest friends, about 45 minutes outside Austin. I was so grateful for the community, consciousness ceremonies, sharing circles, and delicious food. You may be asking yourself, why am I purposely choosing to live this way? For the thrill of adventure, persistence, passion, freedom, and insufficient funds. The affordability crisis is gradually locking out developing artists from the housing market. I'm unable to rent another place right now because I rented out my apartment on Airbnb over 2 years ago and still owe money to the property management company. I refuse to pay the collection agency over $4000 that I could put to much better use traveling in South America for months. I recently applied for a grant to travel on assignment with a team for National Geographic. I'm setting positive intentions that I'm granted the privilege to lead this incredible journey. If you don't try, you'll never know just what you're truly capable of. True growth happens at the edge of your comfort zone. There are quite a few places to camp around Austin if you get creative. I camped up near the Zilker Clubhouse at the lookout point for a beautiful skyline view and by the picnic tables for one night until the cops busted me. I recommend McKinney Falls State Park and Emma Long Metropolitan Park. They're both roughly a 25 minute drive from downtown. Enchanted Rock is another great place if you're in the mood for a 2 hour drive. Austin Bouldering Project has warm showers, in addition to state parks. Bring a camera or drone and document your adventures! I will wrap it up with the legendary quote from Braveheart. "They may take away our lives, but they'll never take our freedom!" Thanks for reading! Keep Austin Weird!